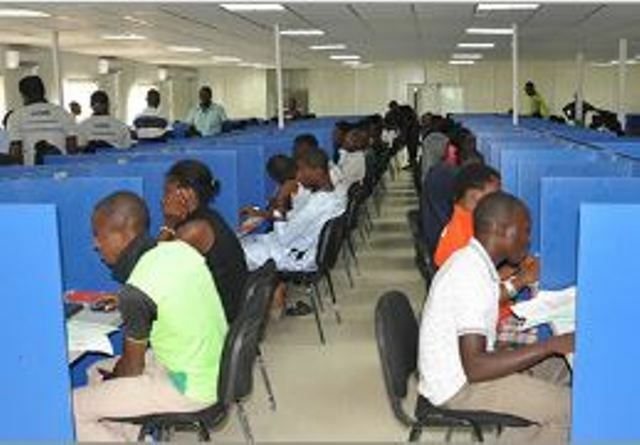 A cross-section of the candidates made the call in an interview with the News Agency of Nigeria on Friday, during the 2019 UTME Computer-Based Test (CBT) in Umuahia, the Abia capital. They said that in most cases, they engaged in guess work, whether right or wrong. Collins Nweke, however, told NAN that he did not have any difficulty with the use of the computer. Other respondents also identified the lack of computer skills by some candidates as setback. He said: “My technical staff have been going around, assisting those of them that have technical challenge. Mr Umecheme Ogboso, a JAMB supervisor at the centre, also said that some of the candidates were not familiar with use of the systems. Ogboso commended JAMB for ensuring that the examination was hitch-free, describing the exercise as the best examination JAMB had ever organised. He said that the adoption of the CBT helped to eliminate examination malpractice. NAN reports that there were visible presence of security operatives in most of the centres visited in Umuahia.